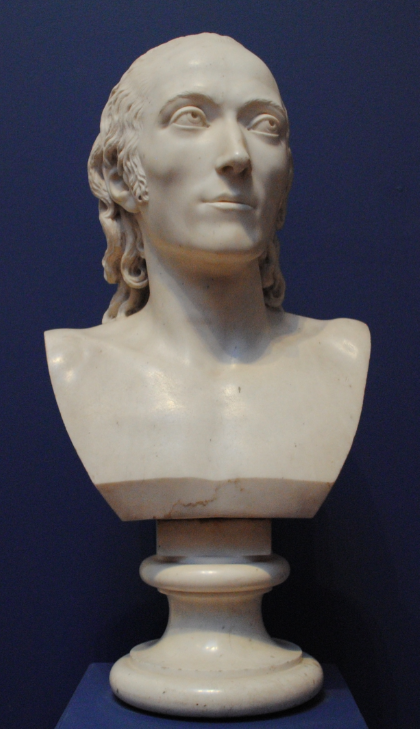 The above marble bust dates to 1798 and is the work of the 18th century French sculptor Pierre Julien. Louis, Marquis de Fontanes, was appointed grand master of the university of Paris by Napoleon. In 1795, he was appointed professor of literature at École Centrale des Quatre-Nations and was one of the first members of Institut National.